Isaac I was Byzantine Emperor from 1057 to 1059, the first reigning member of the Komnenos dynasty. During his brief reign he attempted to restore the depleted finances of the empire and the former strict organization of the government. 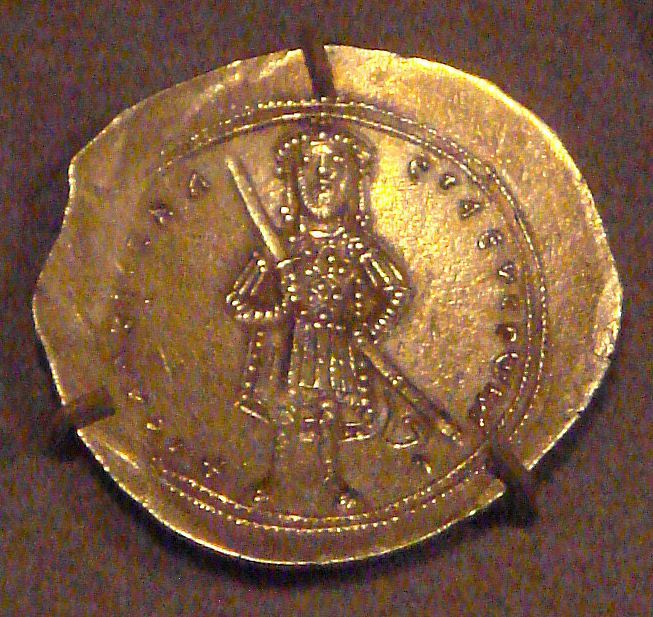 Isaac became emperor following a revolt against his predecessor, Michael VI. The first act of the new emperor was to reward his noble partisans with appointments that removed them from Constantinople, and his next was to repair the depleted finances of the empire. He revoked numerous pensions and grants conferred by his predecessors upon idle courtiers. Isaac's only military expedition was against King Andrew I of Hungary and the Pechenegs, who began to ravage the northern frontiers in 1059. Shortly after this successful campaign, he concluded peace with the Kingdom of Hungary and returned to Constantinople. Here he became very ill, and believed he was dying. This situation was exploited by the courtiers who influenced Isaac to appoint as his successor Constantine Doukas. He abdicated on 22 November 1059, against the wishes of his brother and of his empress Catherine of Bulgaria.